The first solar farm is sold out, but local residents are encouraged to go to Fremont Department of Utilities and get their names on a waiting list for the second solar farm. So far, 22 people are on that waiting list. The size of the next farm would be determined by the participants on the list, said Lottie Mitchell, executive assistant to the Fremont City Administrator. Read more here. 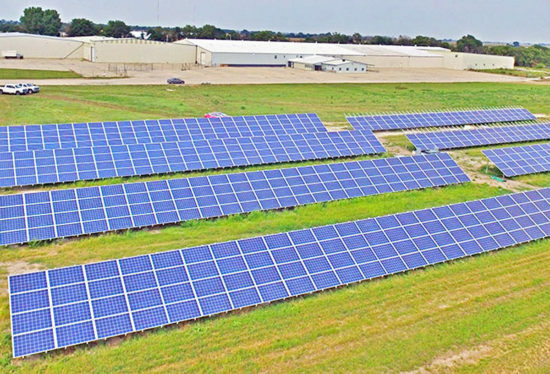 This entry was posted in Community-Scale Solar, Nebraska / Midwest News, NewsBlog and tagged Fremont's Community Solar Farms, national solar energy news, Nebraskans for Solar, Rural Energy for America Program (REAP), solar energy development in Nebraska, solar energy news in Nebraska on August 27, 2017 by Helen Deffenbacher.